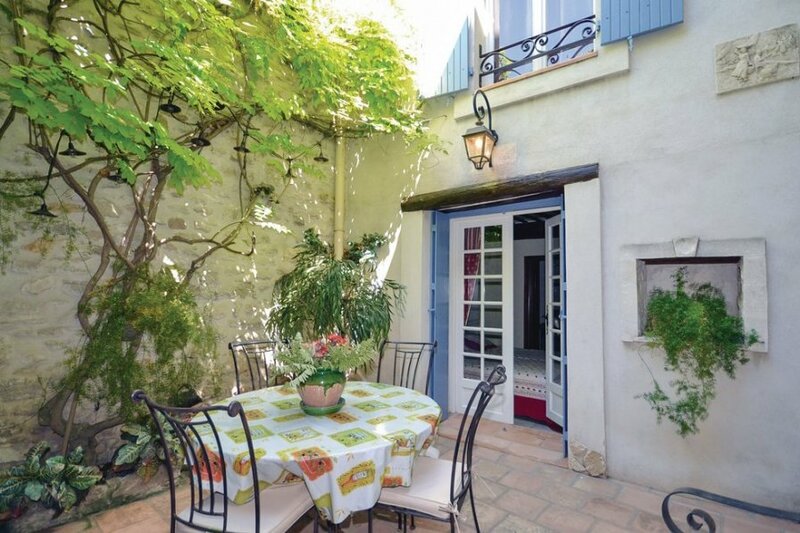 This three bedroom holiday home is wonderfully located in Provence. The traditional stone village house is situated approximately 10km from Avignon, Cavaillon and Isle-sur-Sorgue. This three bedroom holiday home is wonderfully located in Provence. The traditional stone village house is situated approximately 10km from Avignon, Cavaillon and Isle-sur-Sorgue, which ensures that it is a fantastic location for guests wishing to explore this enchanting region. The property has been thoughtfully decorated and comfortably furnished using lovingly selected accessories, including a superb piano. The colourful kitchen is well-equipped for guests wishing to prepare some delicious local produce and the living room enjoys stunning views of the surroundings. The end result is a warm and welcoming ambience.From the heights of the village, a marked botanical trail offers panoramic views of the Alpilles, Luberon, Mont Ventoux and the Vaucluse plateau. The village's winding alleyways weave between the authentic houses which are adorned with stone facades and painted shutters - some of the buildings date back to the 18th Century. Nearby, there is a range of activities on offer including hiking, mountain biking, horseback riding, petanque and tennis courts. Whether you wish to explore the culture or simply linger over a delicious meal, Avignon rarely disappoints; the UNESCO World Heritage site is both fascinating and enchanting, especially when it hosts its annual Theatre Festival, which is renowned for its eclectic and innovative programme. The charming town of Saint-Rémy de Provence is just 18km from the holiday home and is also well worth a visit. The agent has rated it as a four star property so it is a well-equipped villa with above average furnishings. It is also great value for money. The villaIt is located in Caumont-sur-Durance. It is set in a good location: there is a restaurant only 200 metres away. The villa is well equipped: it has a refrigerator, microwave, washing machine and dishwasher. It also has a barbecue, electric barbecue and some garden furniture outside.